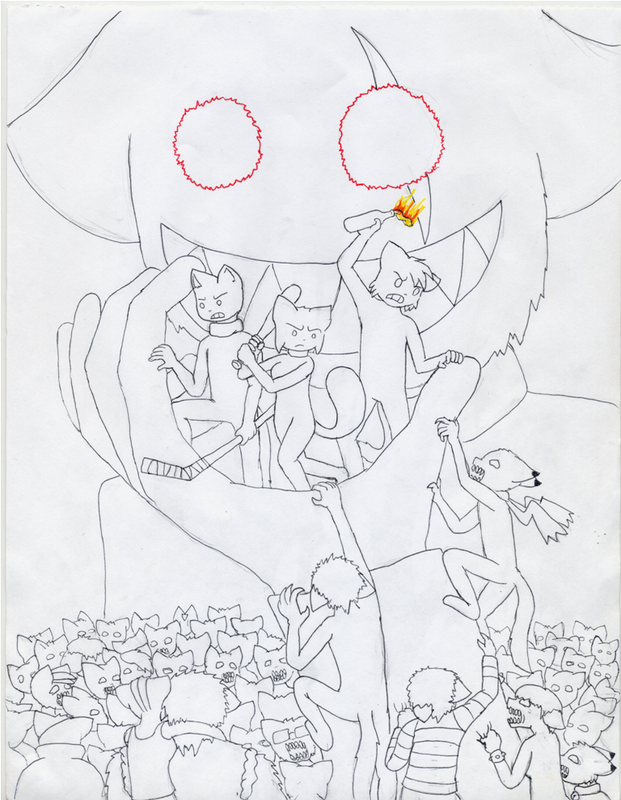 The original sketch i made for the cover of Left $ fans. Gnukko You are definately awesome. The only question is how awesome? Waaaait the minute...there are only 3 characters, who's the fourth one? Riddle me this, Gnukko: if Aria kills fancharacters, yet is a fancharacter, then is she a zombie or one of the four members killing the other zombies? Anonymous #5 9 years ago. Anonymous #6 9 years ago. Anonymous #7 8 years ago.